Austin Windshield Replacement? Get Auto Glass Quotes Instantly! Here in Austin accidents involving windshields are an all too common problem. Flying debris such as small rocks and construction material can collide with your windshield and at even slow speeds, chip or even crack it. Having a damaged windshield is a big hazard when driving as it obstructs the driver’s vision as well as causing the windshield to be more prone to cause harm during an accident. Therefore it is important to get a windshield repaired or replaced (depending on your needs) as soon as possible. The capricious Texas weather and the high levels of humidity can take even the smallest crack and turn it into a monster very quickly. To avoid the risks of driving around with a damaged windshield for too long Auto Glass Quotez provides you with a comprehensive list of auto glass replacement shops in the Austin metropolitan area so that you can get the best price and can get your vehicle’s glass fixed as quickly as possible. Whether you’re in South Austin or in Round Rock, Auto Glass Quotez will find the companies that fit your needs. 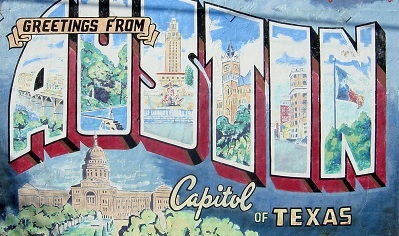 Austin has a large variety of different vehicles due to its extremely diverse population. With this diverse cornucopia of cars, trucks, and SUVs comes an equally multi-faceted selection of glass. Firstly, most glass places have variances in the quality of glass. There are usually three basic types of glass: the basic aftermarket, a premium aftermarket or OEM equivalent, and the OEM glass (original equipment manufacturer). The basic aftermarket is usually made overseas and meets all the same specifications as the OEM glass but is slightly different. Most Austinites will go with this kind of glass due to the very low costs. The next step above is the premium aftermarket or OEM equivalent. This type of glass is usually made here in the USA and is a tad bit thicker. These premium parts are usually made by companies that build OEM glass for other car makes. The top tier glass is the OEM glass which is the exact same glass that came with the vehicle from the manufacturer. Most people who go with the OEM glass are either leasing their vehicles or are about to sell a brand new vehicle and want to keep the car or truck exactly how it came from the manufacturer. Not only are there different qualities of glass, there are also various options that come with different pieces of glass. 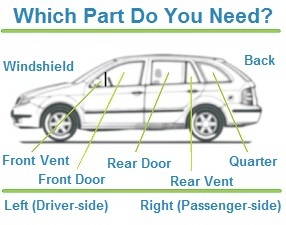 For your Austin windshields, there are many different features that one may have. Such as an acoustic interlayer which helps insulate sounds – people who have this option for the windshield usually bought a premium sound package for their vehicle. One of the most common types of windshield features is a rain sensor; which not only turns on your windshield wipers when it detects rain, but also adjusts the speed of the wipers depending on how hard it is raining. These rain sensors usually cost a bit more due to the amount of extra components involved but for many people the added cost is well worth it. Next time you order your Austin windshield make sure to pick the correct one with your vehicle. If you had a windshield with a rain sensor before but order one without it – problems may arise. Here at Auto Glass Quotez we take the hassle out of finding an auto glass company that fits your needs. All you need to do is put in your Austin area zip code and vehicle information, and then we match you with companies that fit your criteria. It’s that simple!